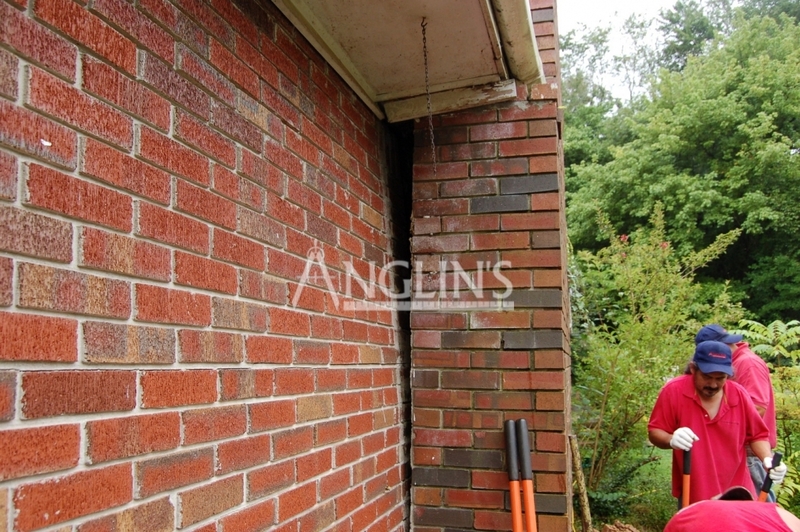 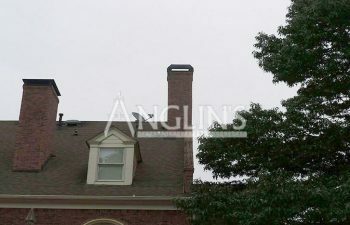 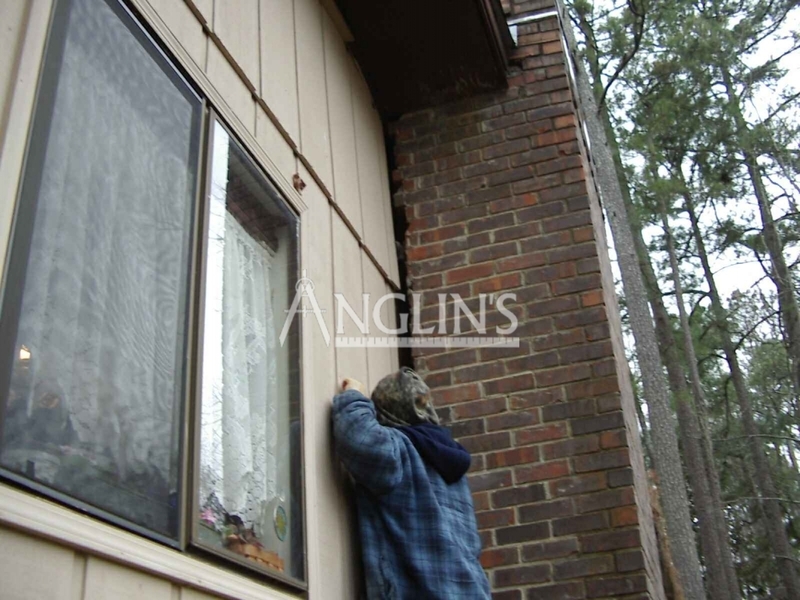 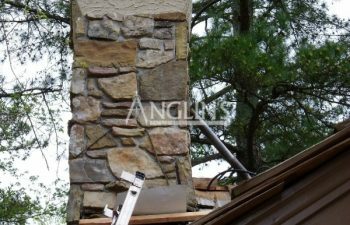 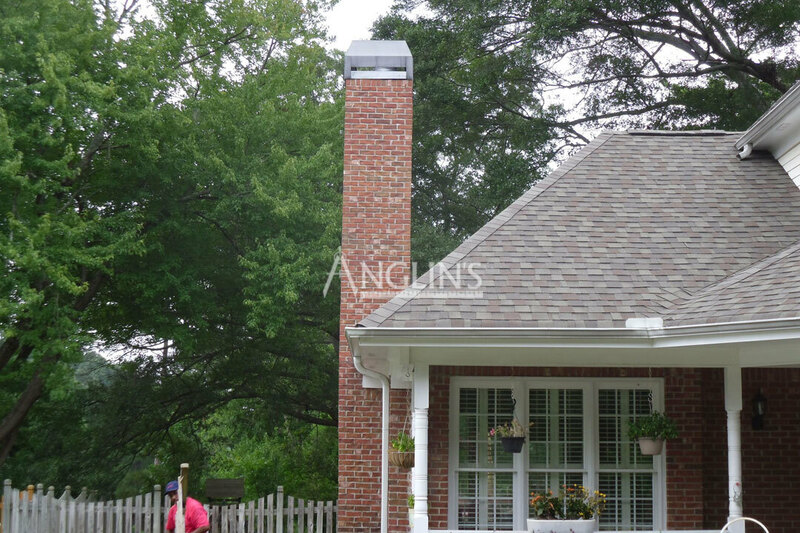 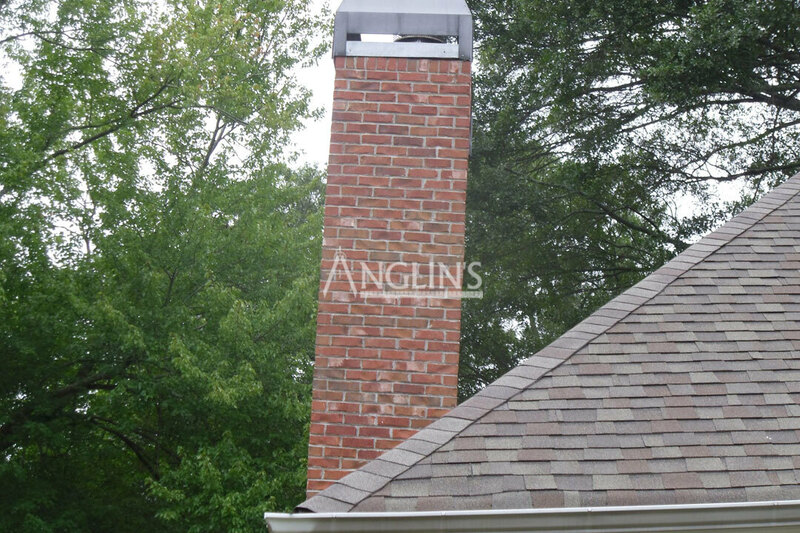 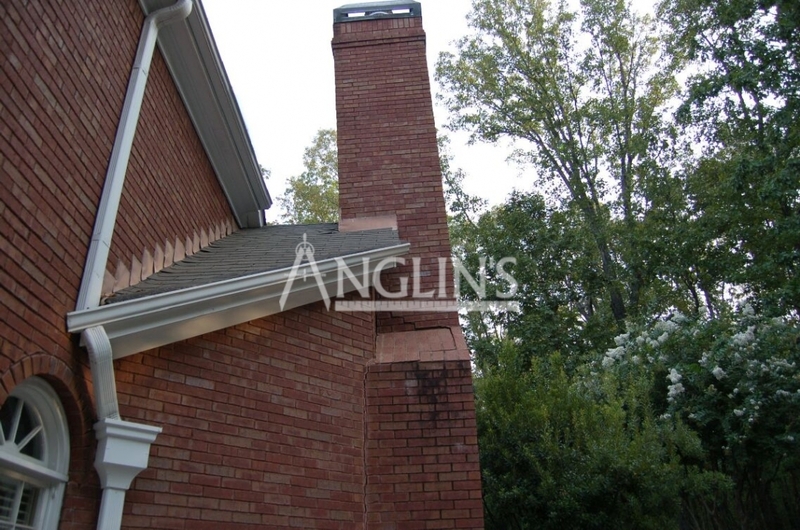 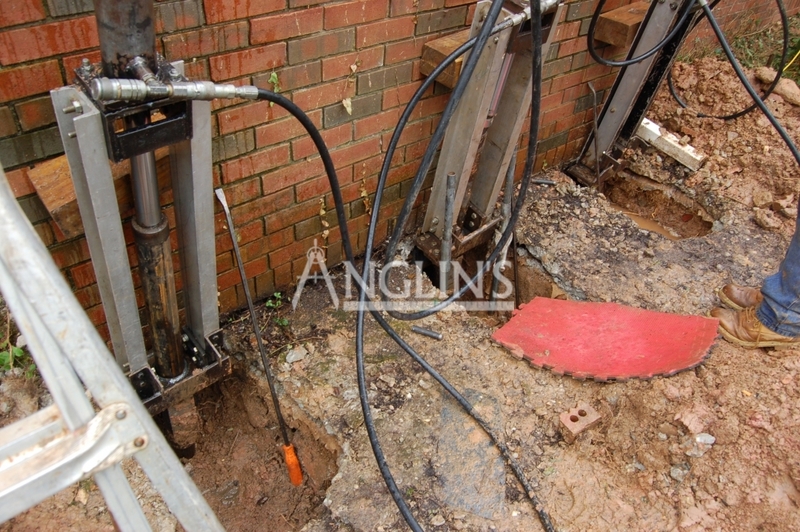 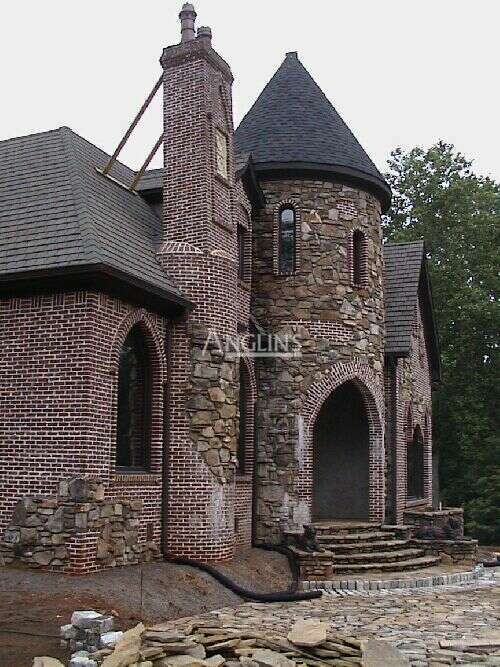 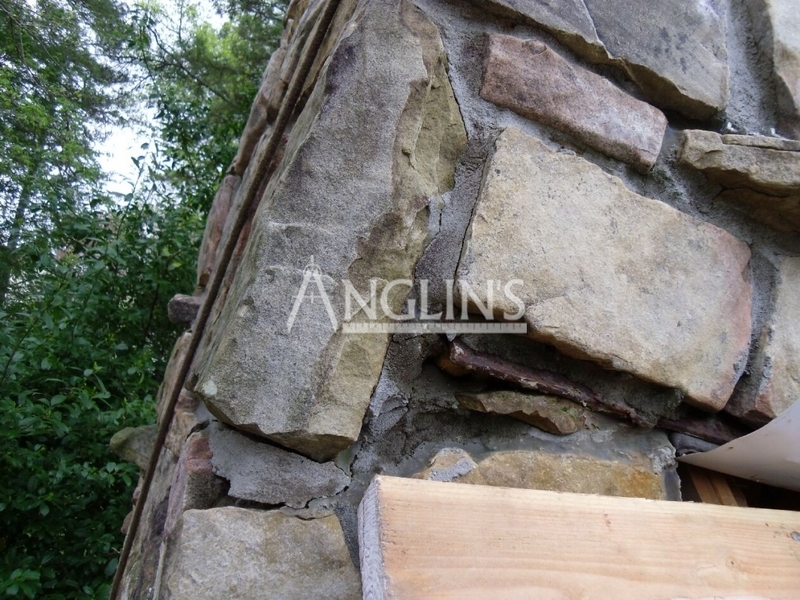 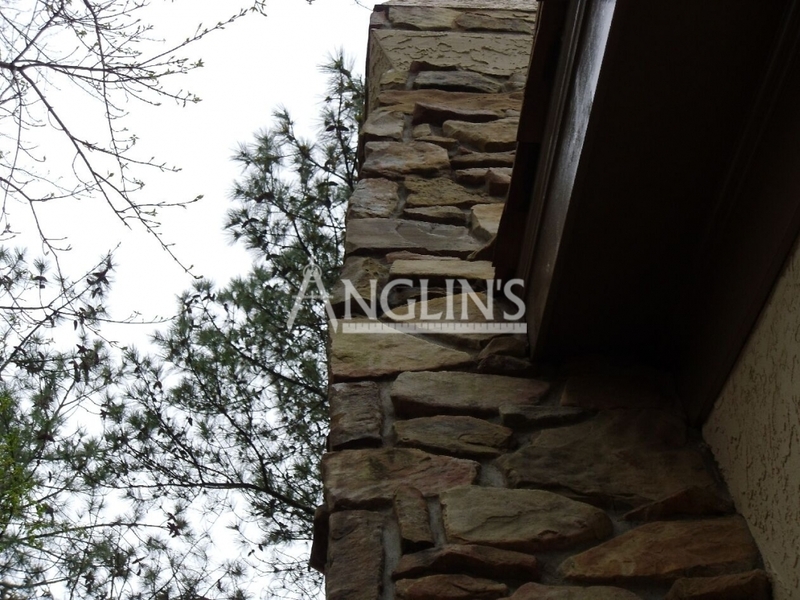 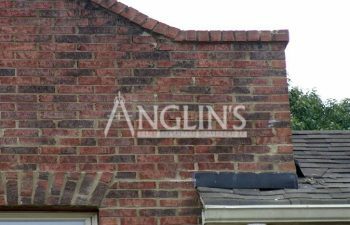 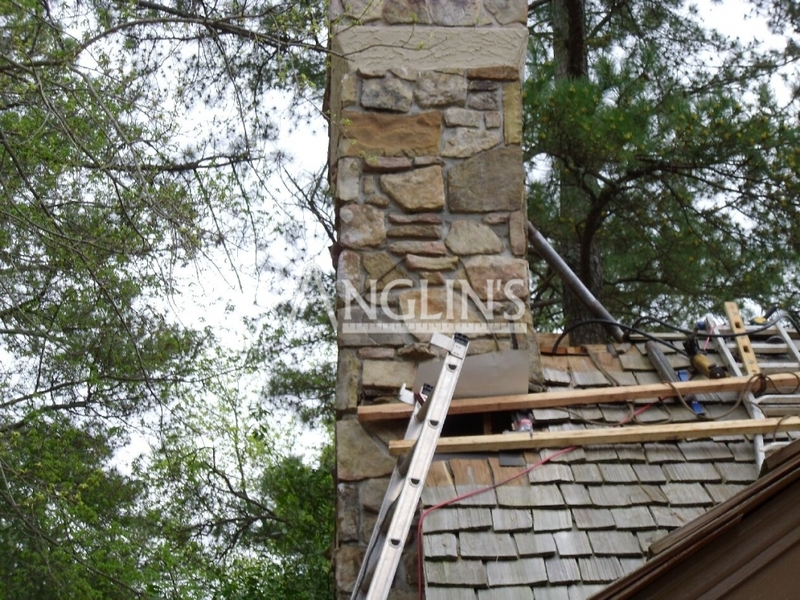 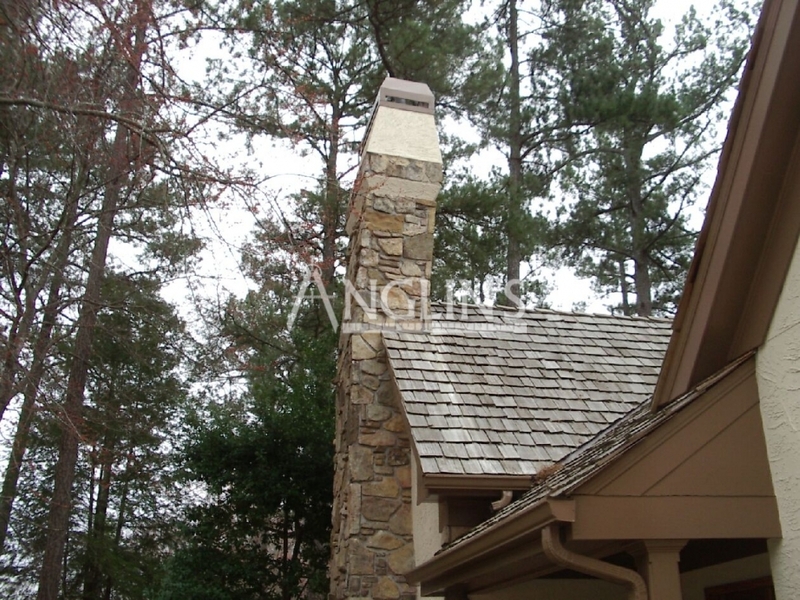 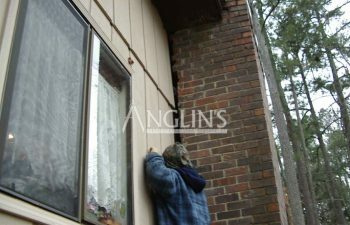 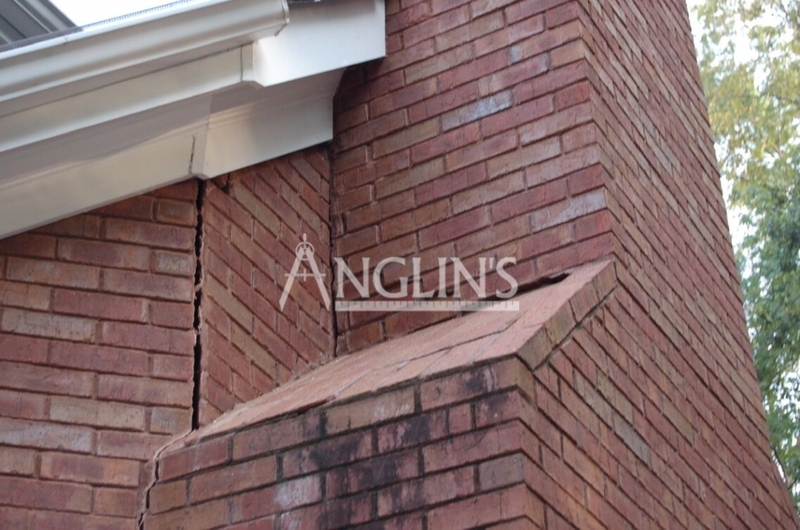 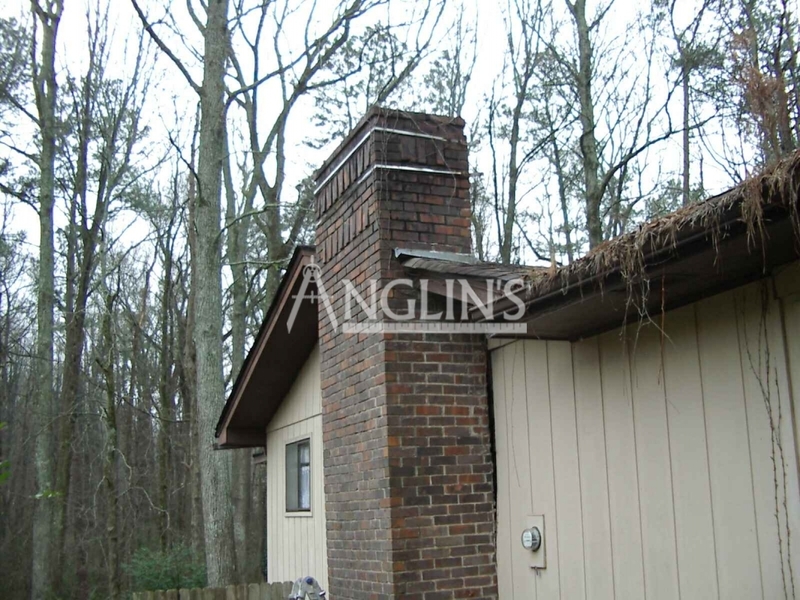 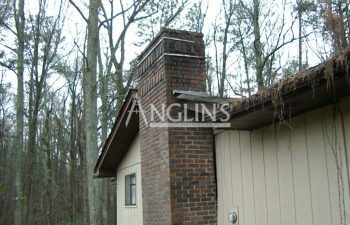 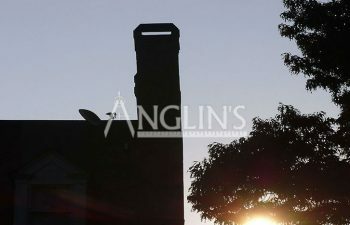 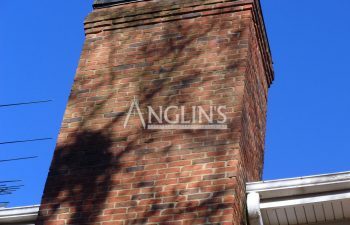 Welcome to Anglin’s Foundation and Masonry Repairs: Kennesaw and Woodstock’s trusted chimney repair specialist. 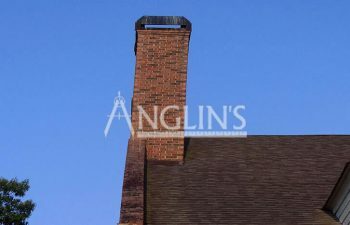 We are experienced in all different types of chimney repair services including repairing chimney foundations, straightening leaning chimneys and restoring brick and stone chimneys. 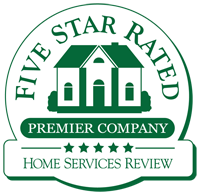 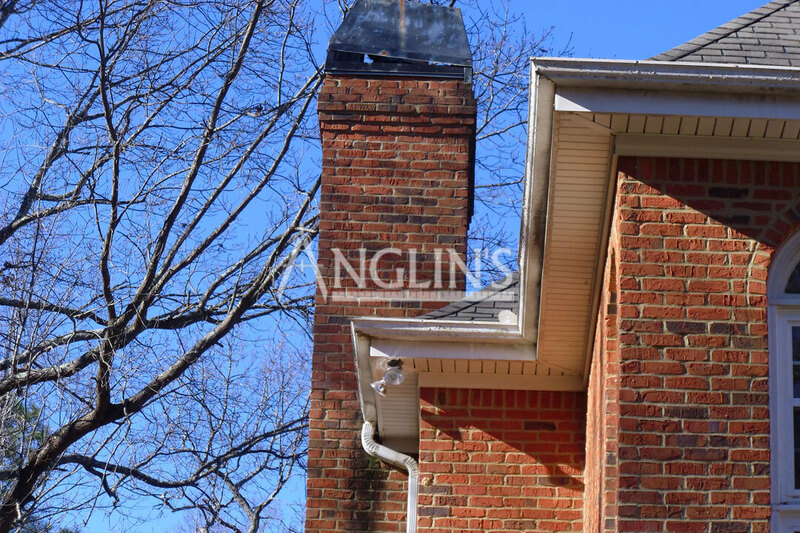 Our company has faithfully served the residents of Woodstock and Kennesaw for more than 80 years with expert chimney repair and restoration services. 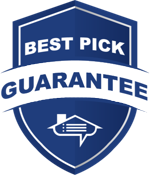 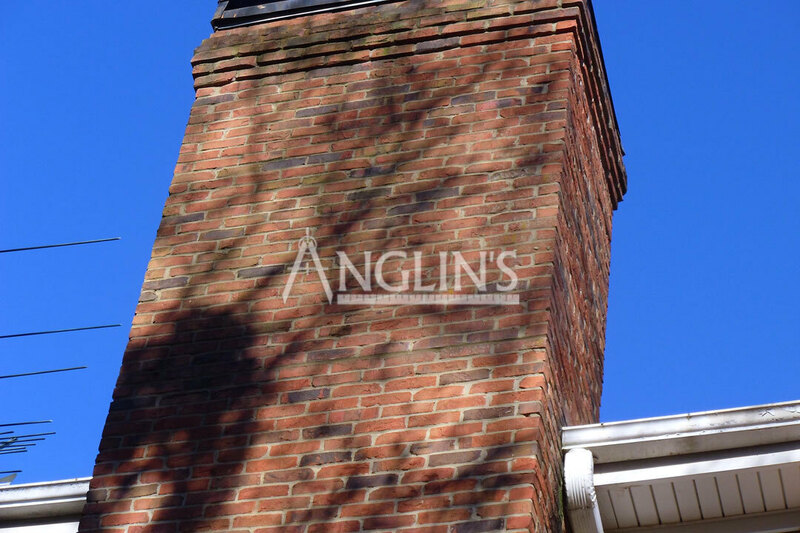 If you trust us with your chimney repairs, you will be getting a lifetime of experience backed by a lifetime warranty! 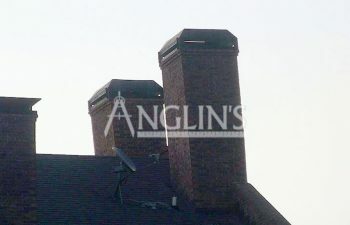 Leaning, tilting and falling chimneys are dangerous. 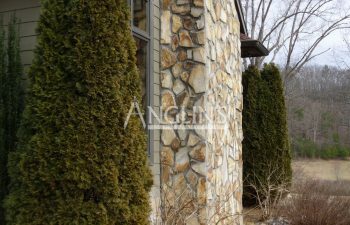 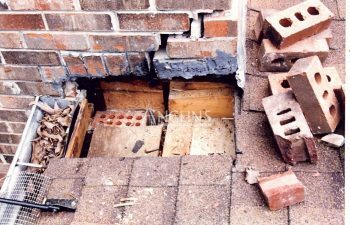 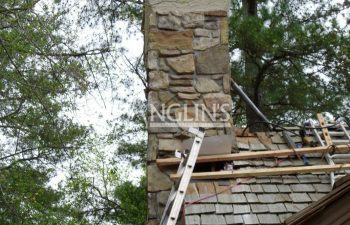 Failing to hire a professional to do chimney foundation and repair work to fix cracked or loose stones or bricks can cause you to loose your entire chimney. It can also place your family members, pets and/or customers at risk for serious injuries and even death. 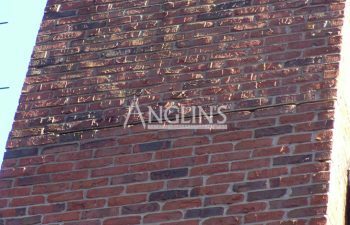 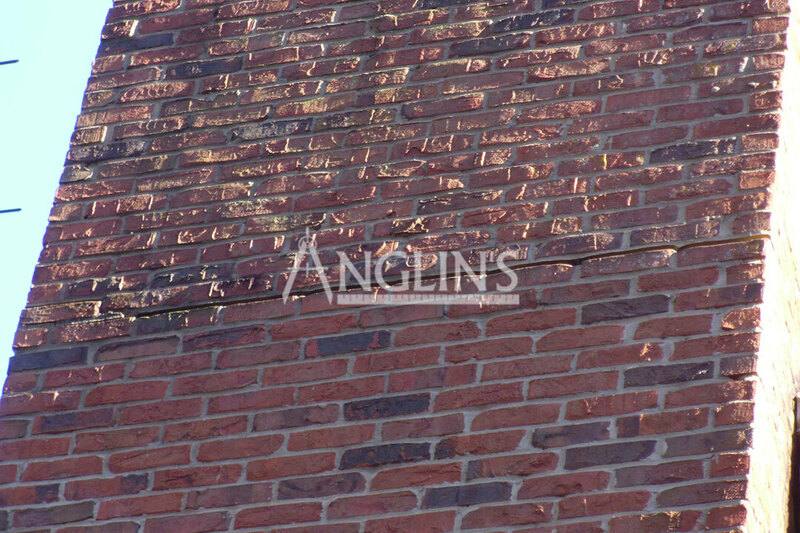 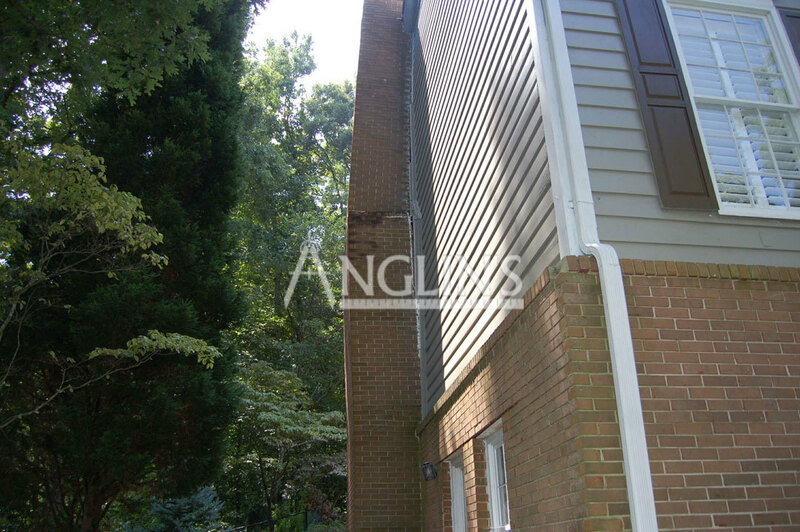 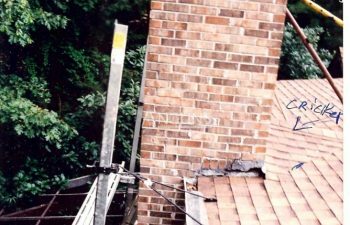 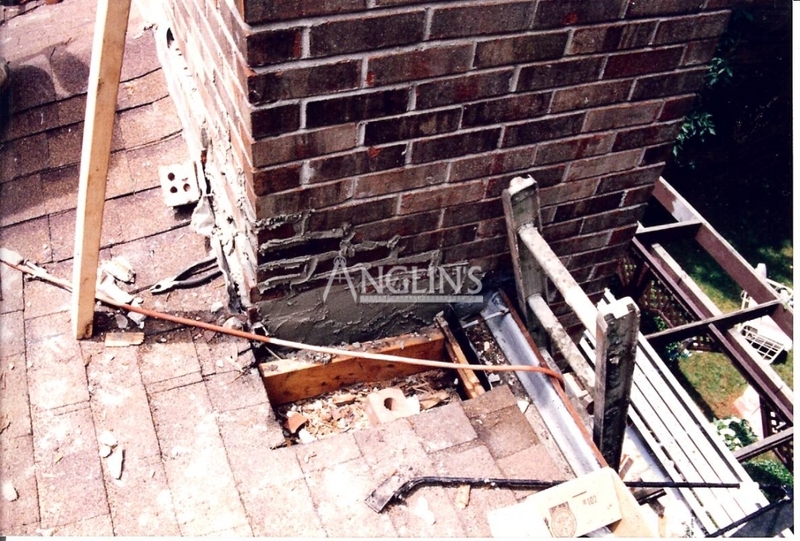 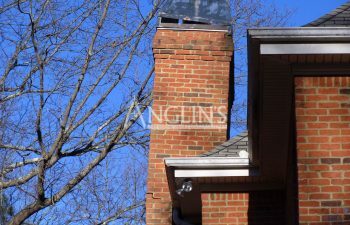 In order to mitigate the dangers of a leaning chimney, and prevent it from falling, the entire chimney must be inspected to identify not only the root cause of the tilting but also to identify masonry damage that needs to be repaired. 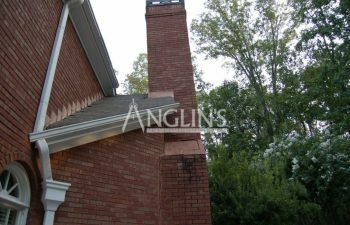 Our chimney repair experts can fix your chimney so that it is no longer leaning but is properly aligned against your home or structure. 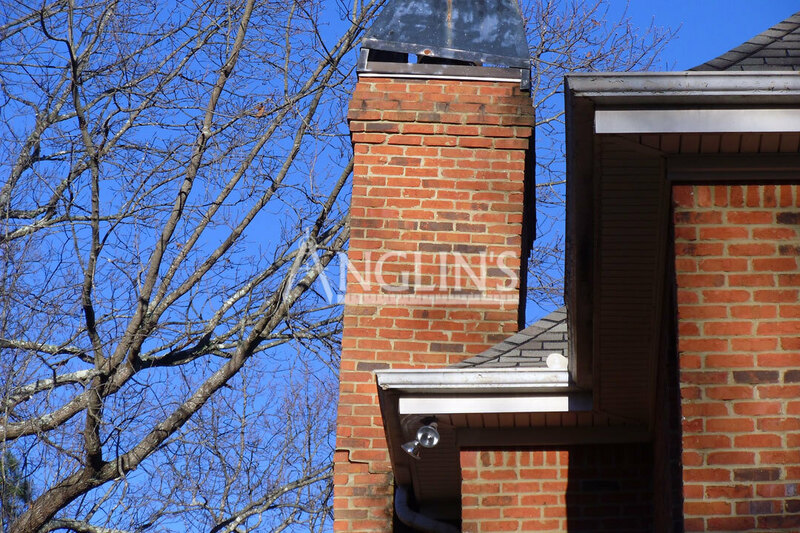 If your chimney is leaning or tilting, your insurance company may work with you on a homeowners claim to fix the problem before the chimney falls and requires expensive restoration or replacement costs. 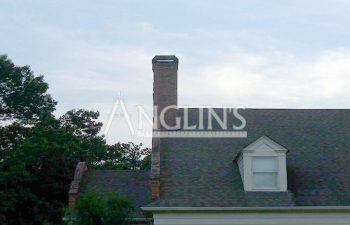 We offer free chimney inspections, provide free quotes and offer a lifetime warranty on all of our chimney foundation repair work. 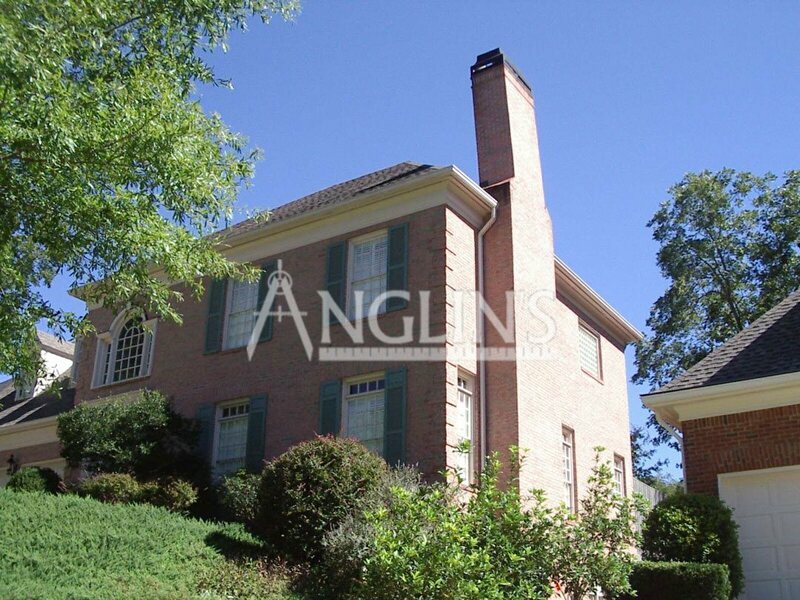 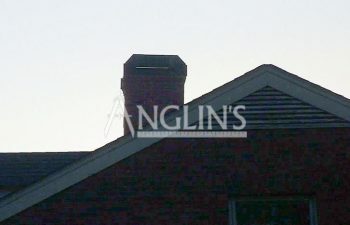 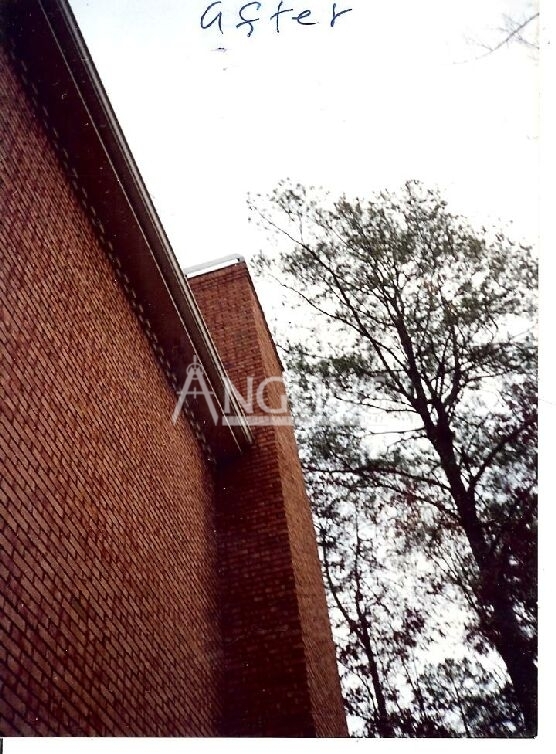 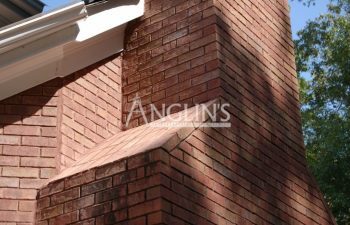 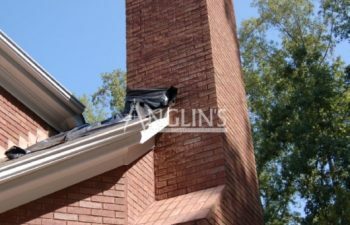 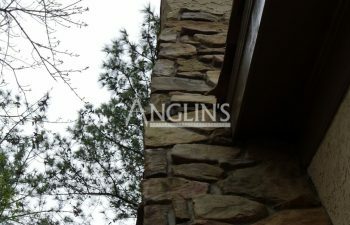 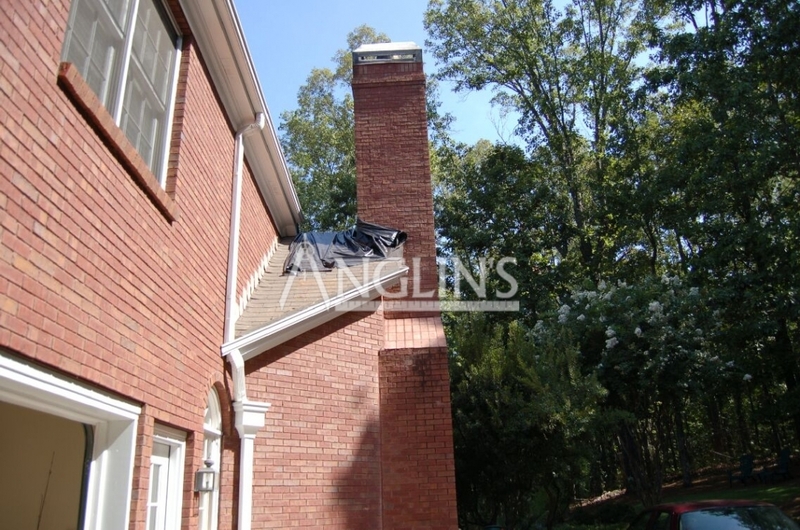 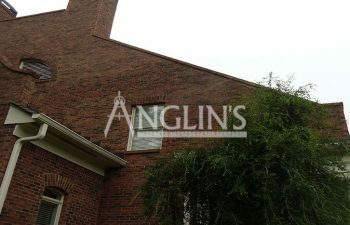 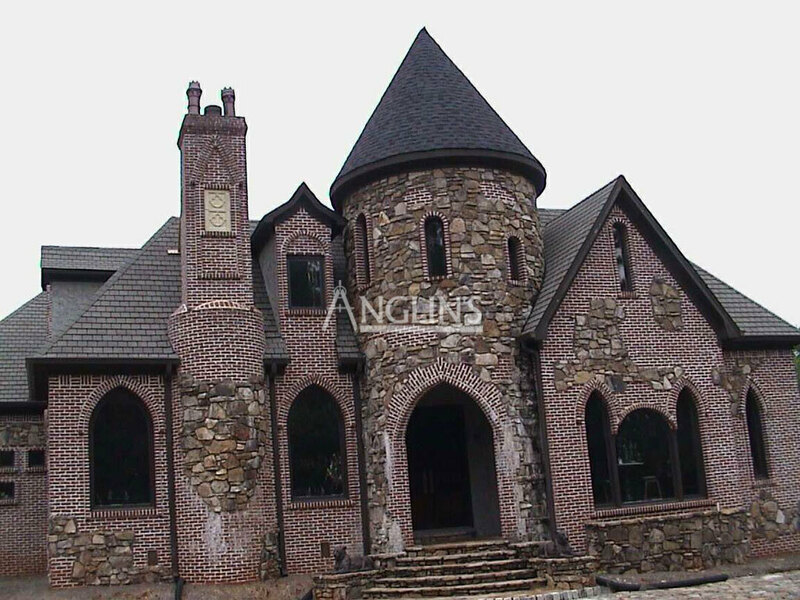 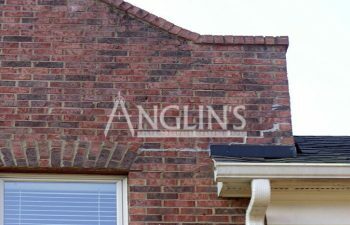 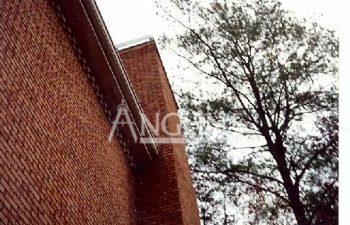 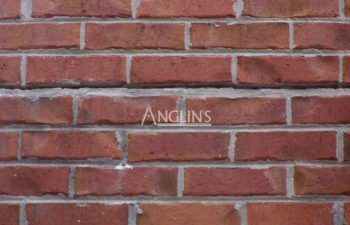 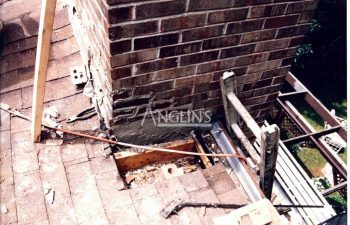 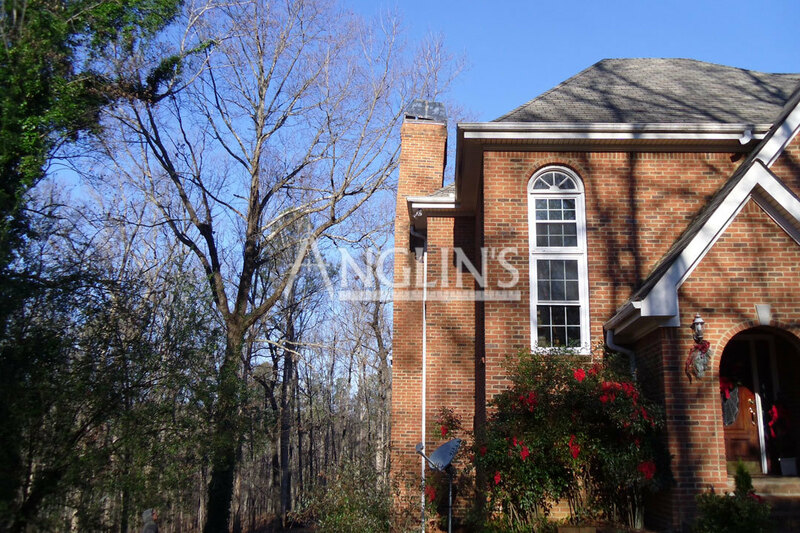 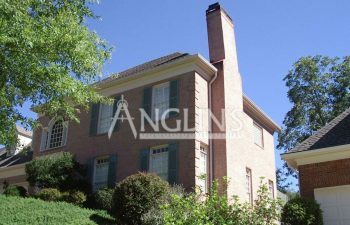 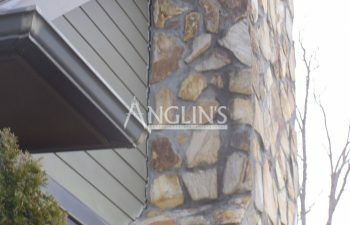 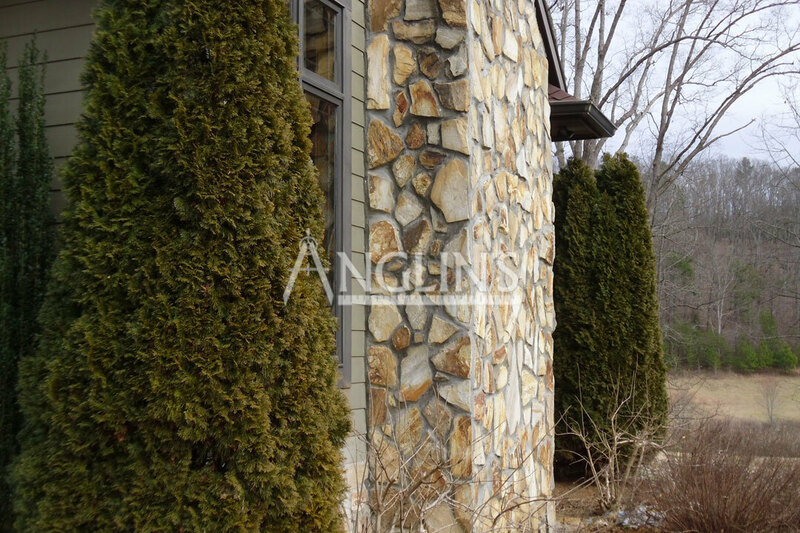 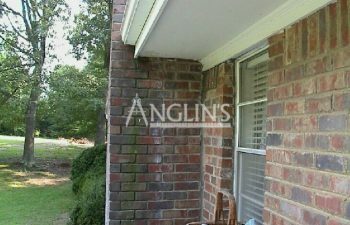 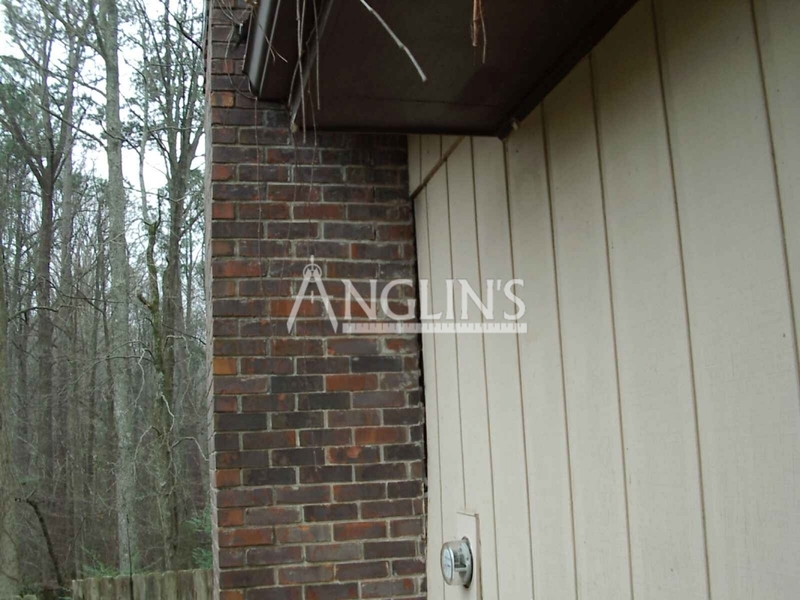 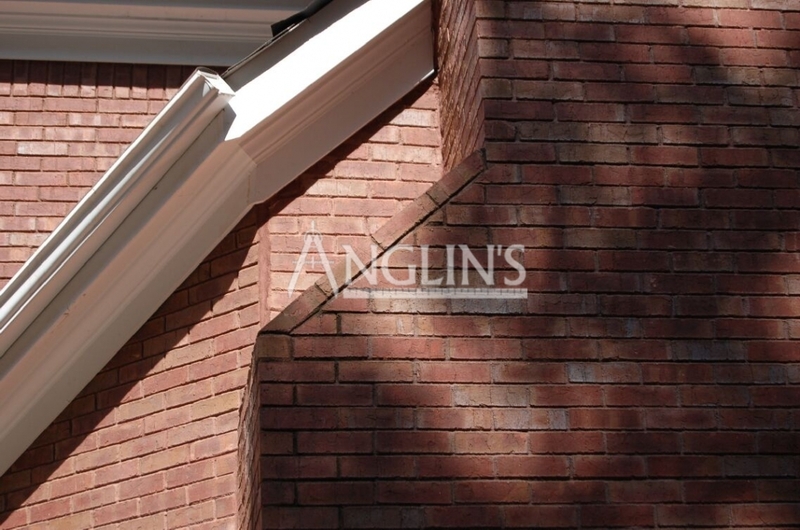 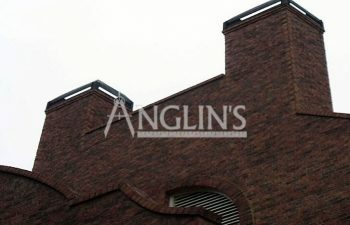 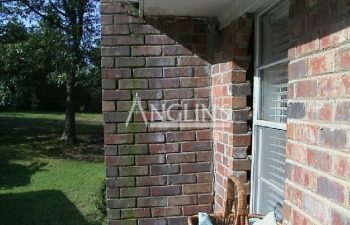 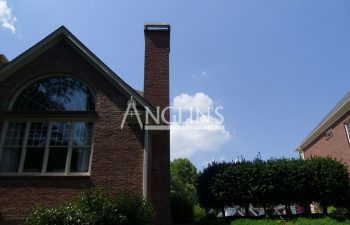 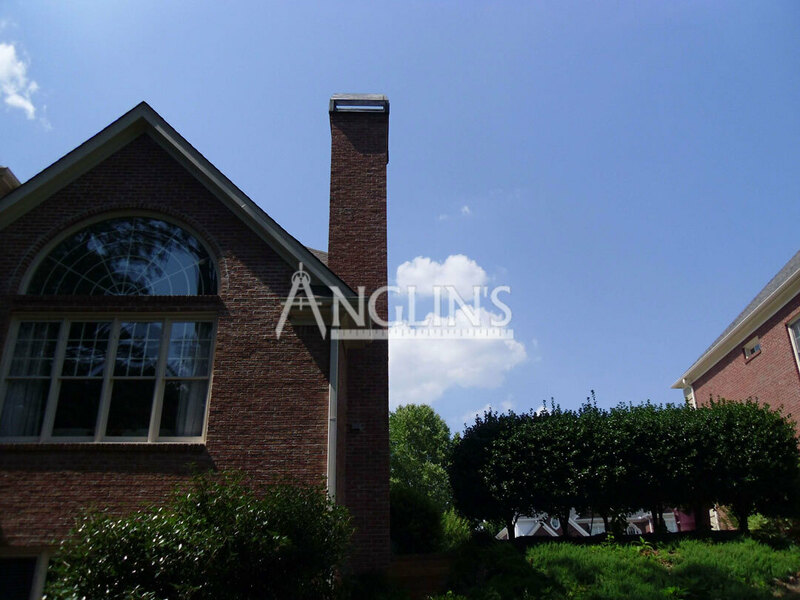 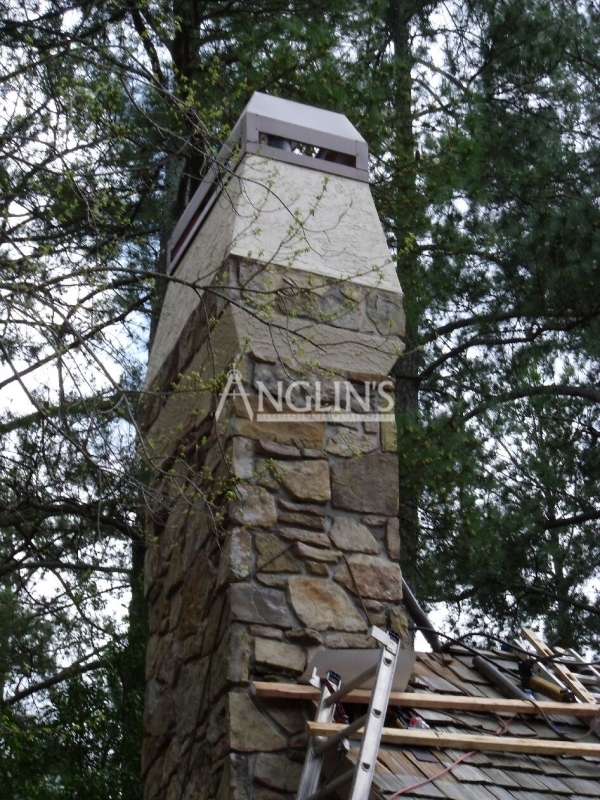 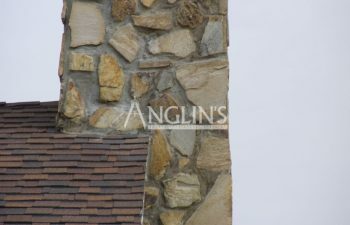 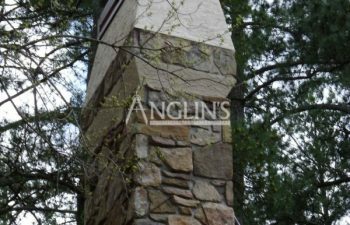 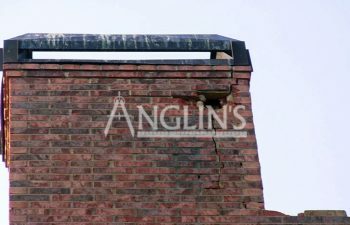 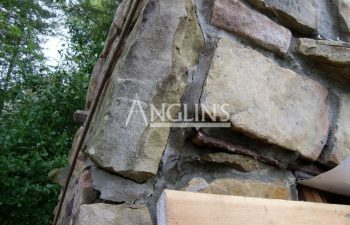 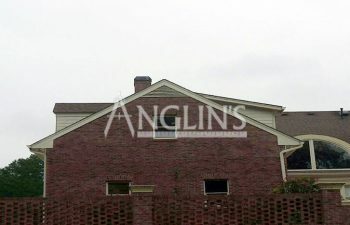 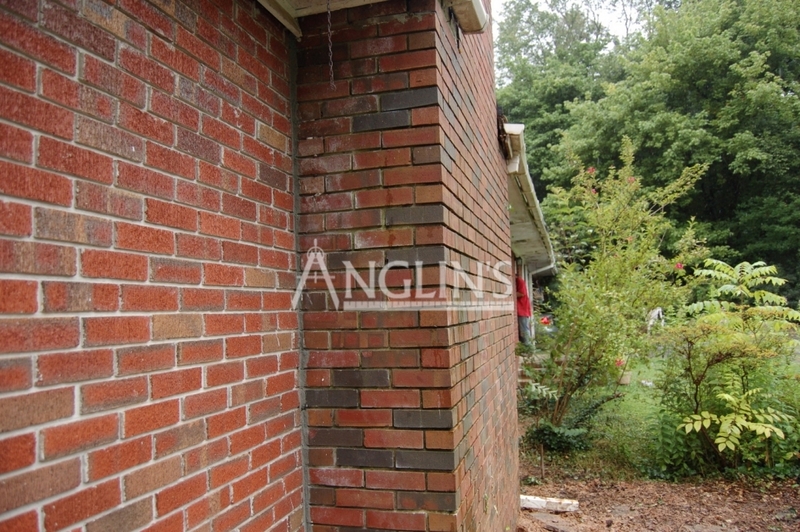 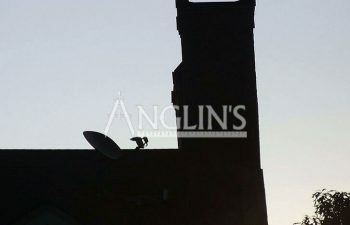 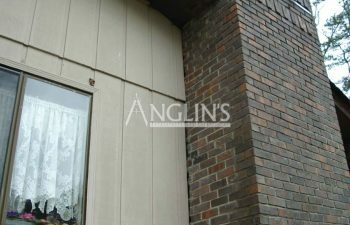 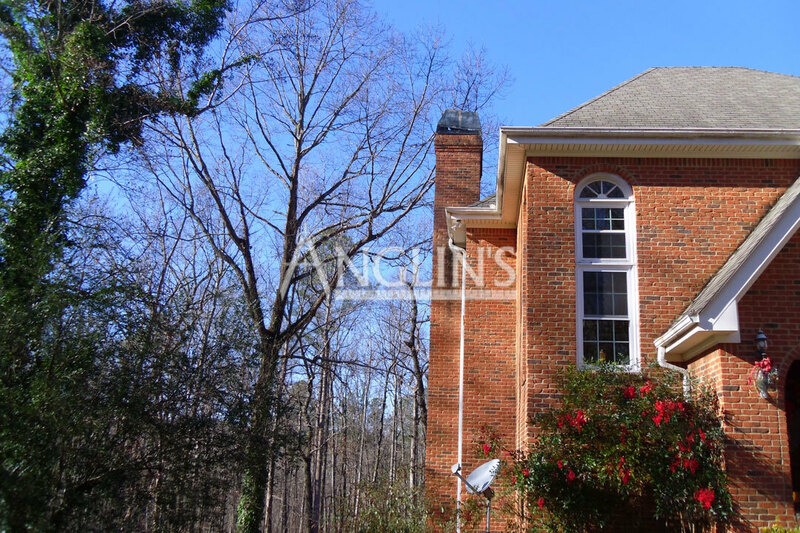 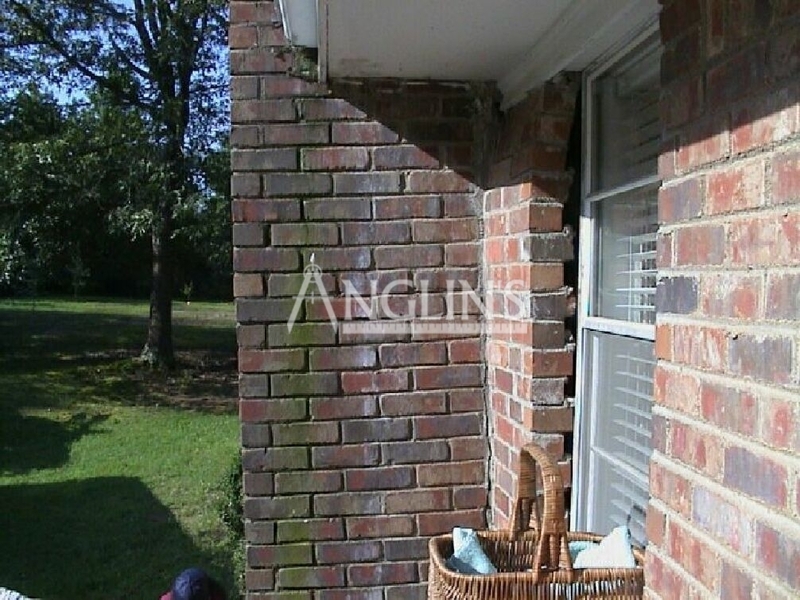 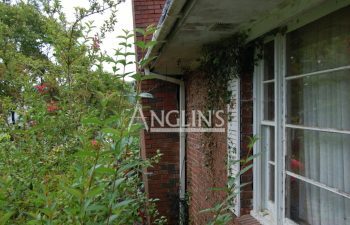 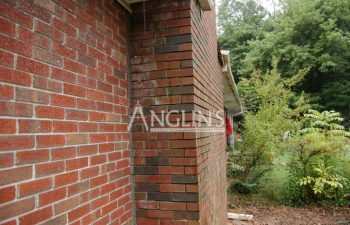 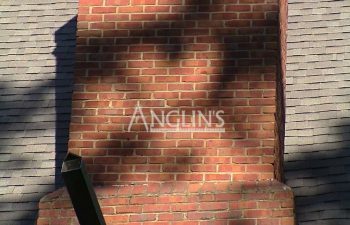 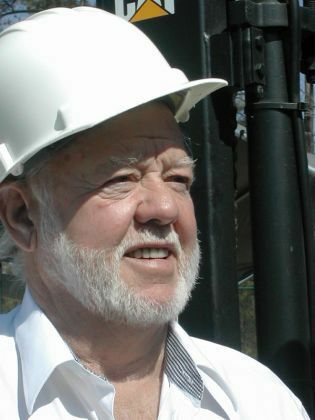 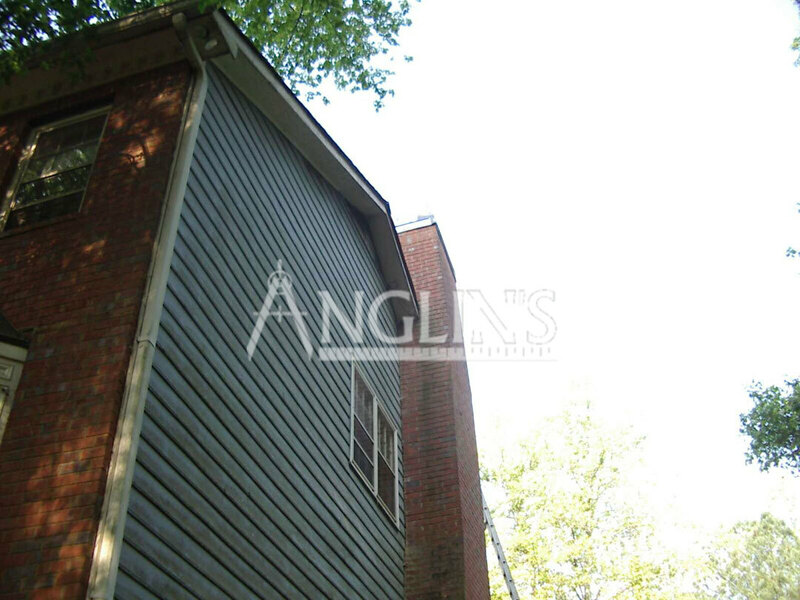 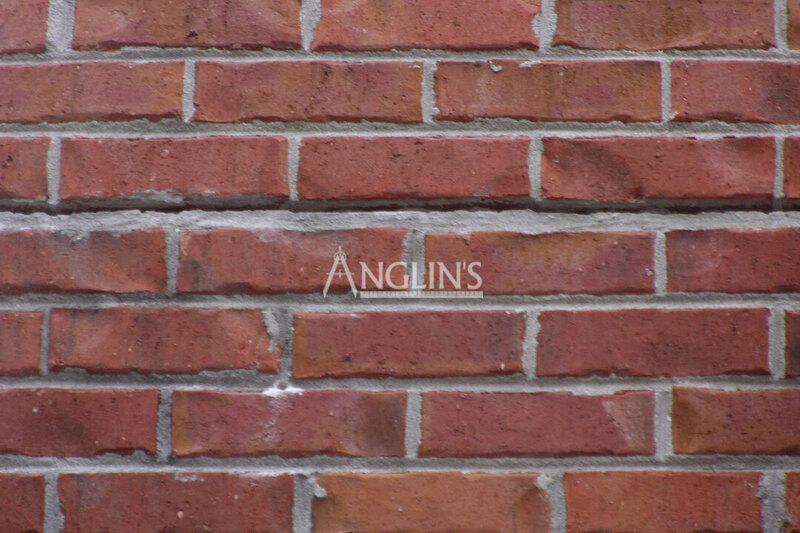 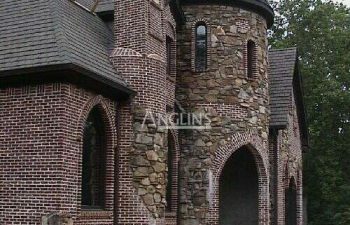 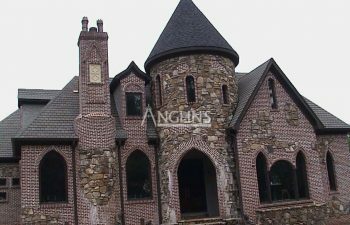 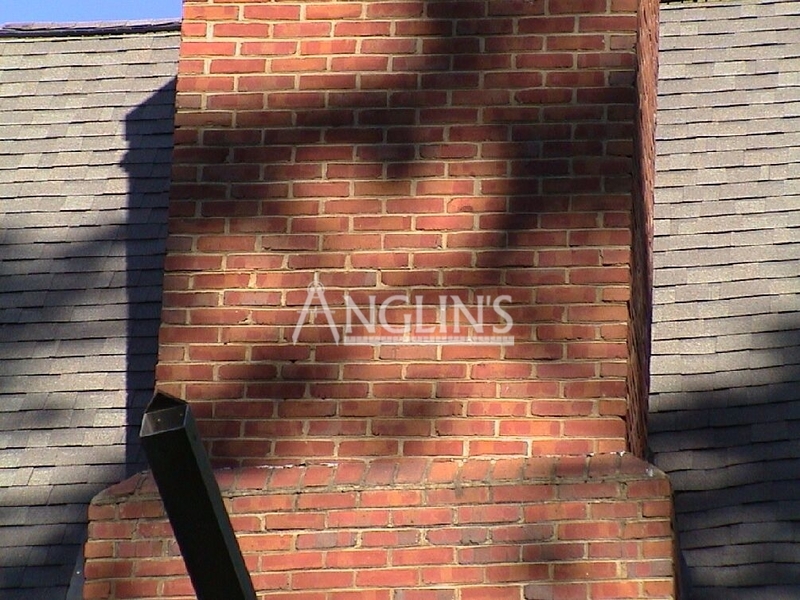 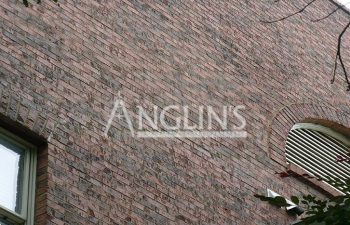 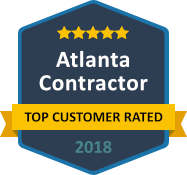 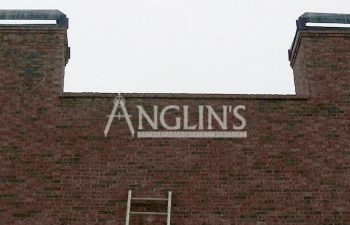 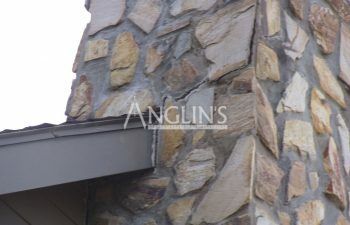 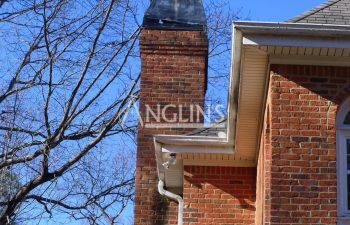 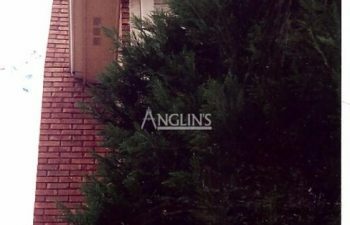 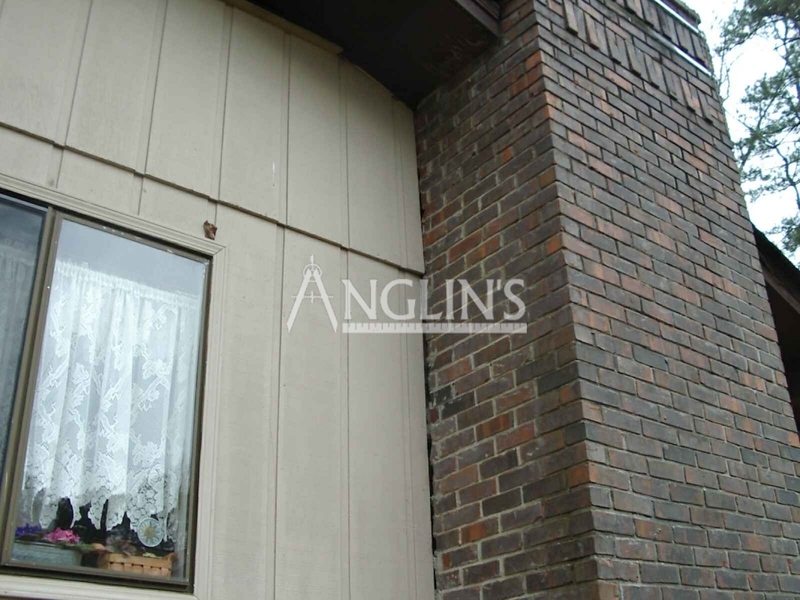 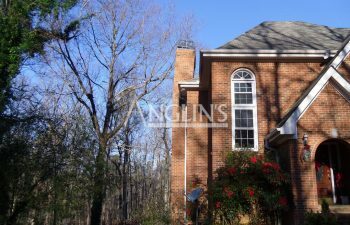 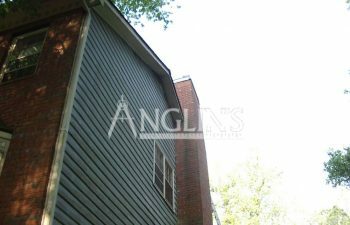 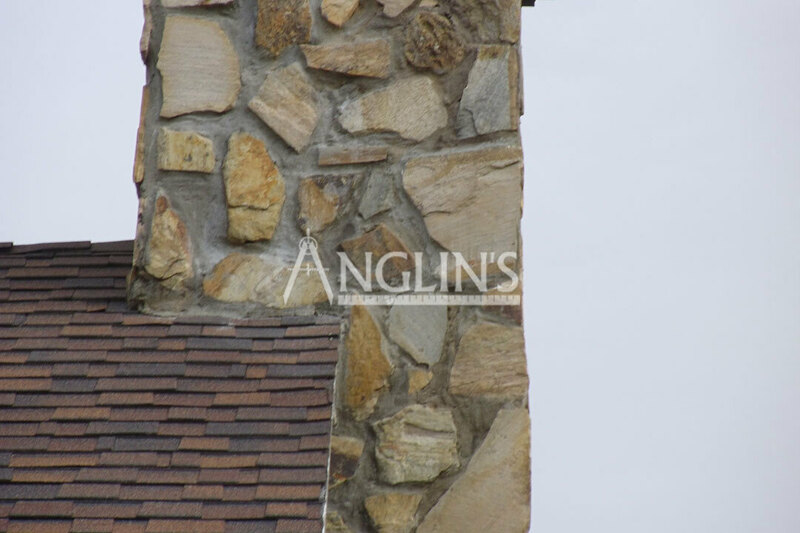 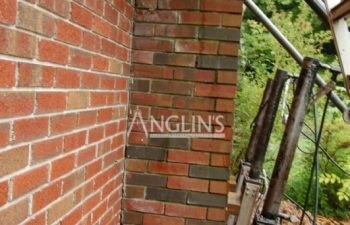 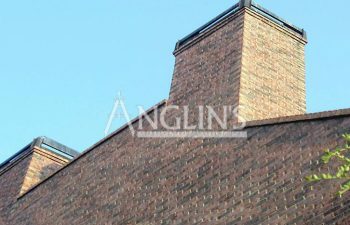 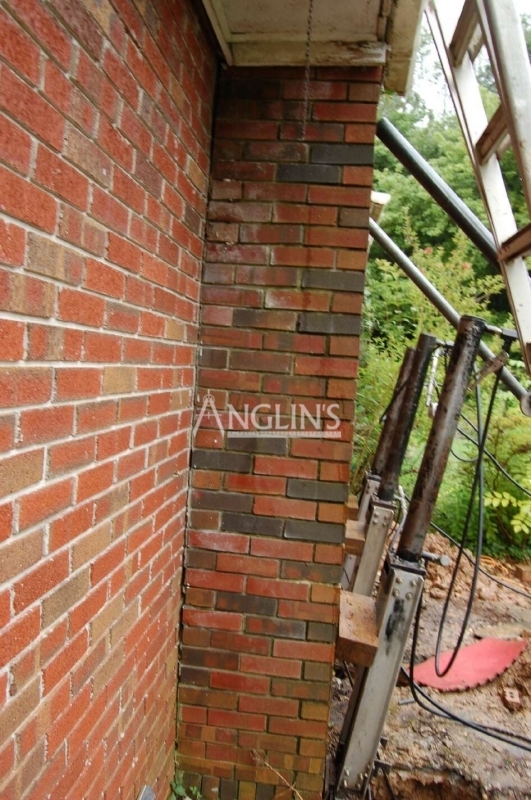 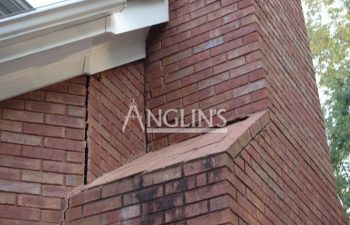 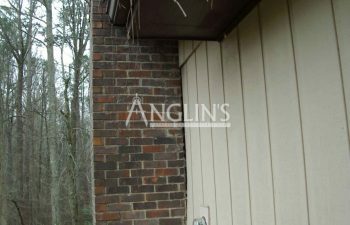 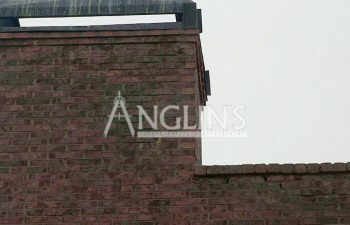 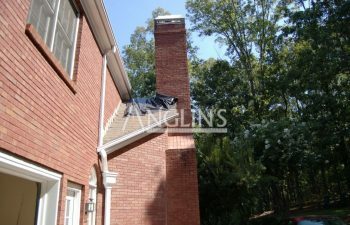 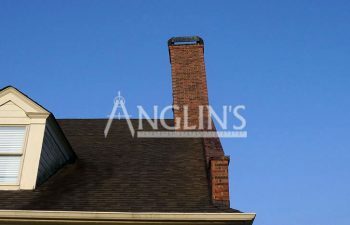 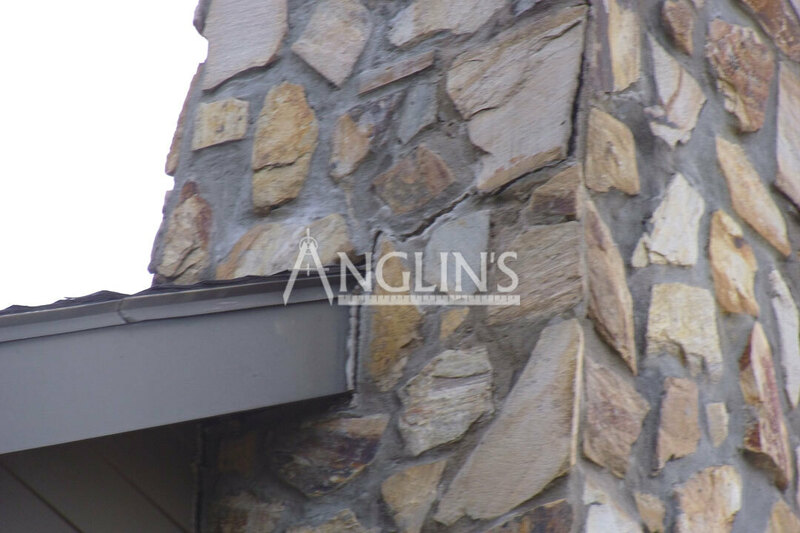 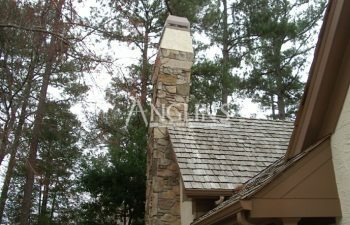 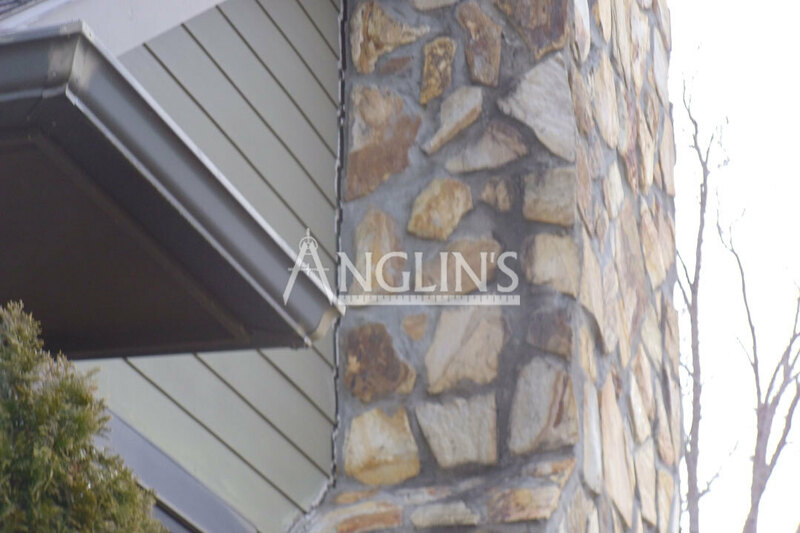 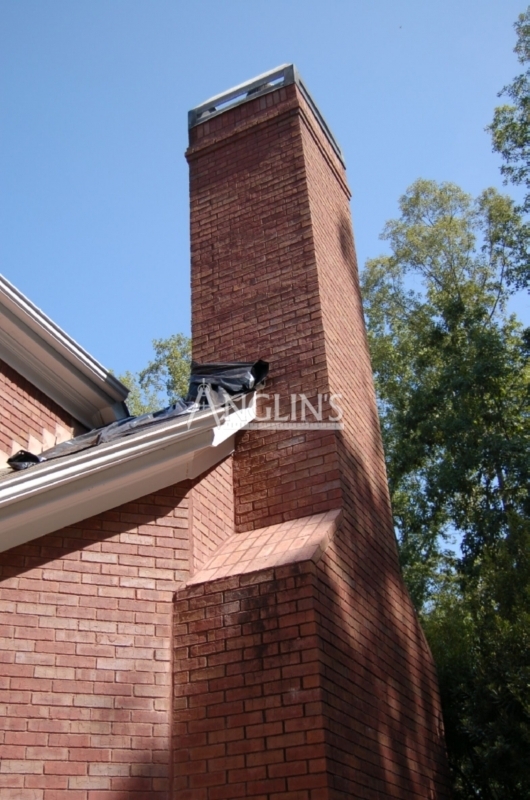 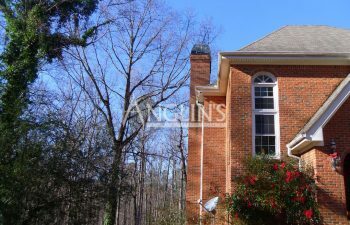 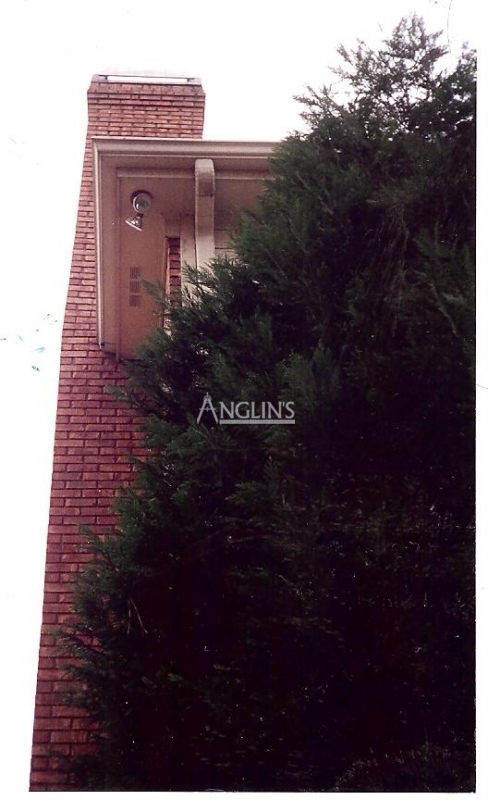 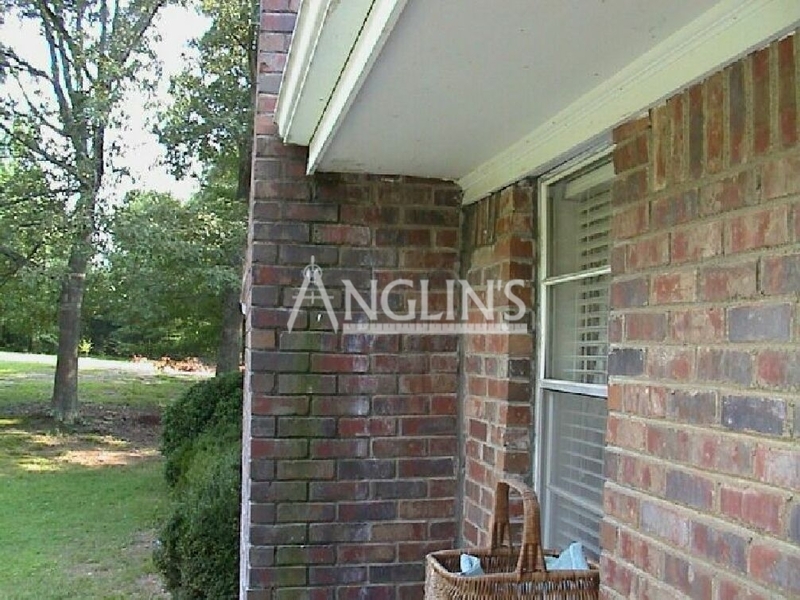 If you are looking for an experienced, reputable company you can trust to repair the chimney on your home or business in Kennesaw or Woodstock, Georgia, you can turn to John Anglin and the dedicated team from Anglin’s Foundation and Masonry Repairs. 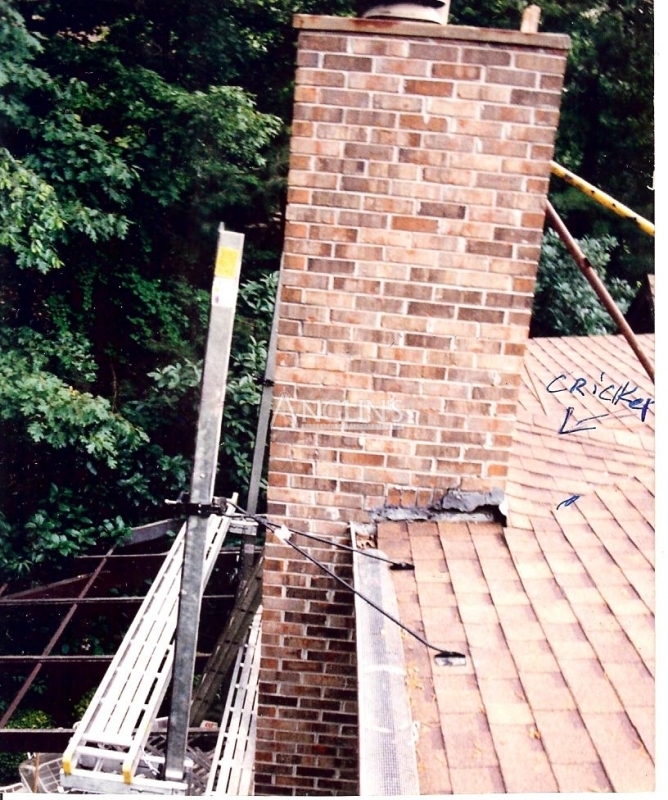 Please contact our Kennesaw, Woodstock Chimney Repair Experts to schedule your free chimney inspection. 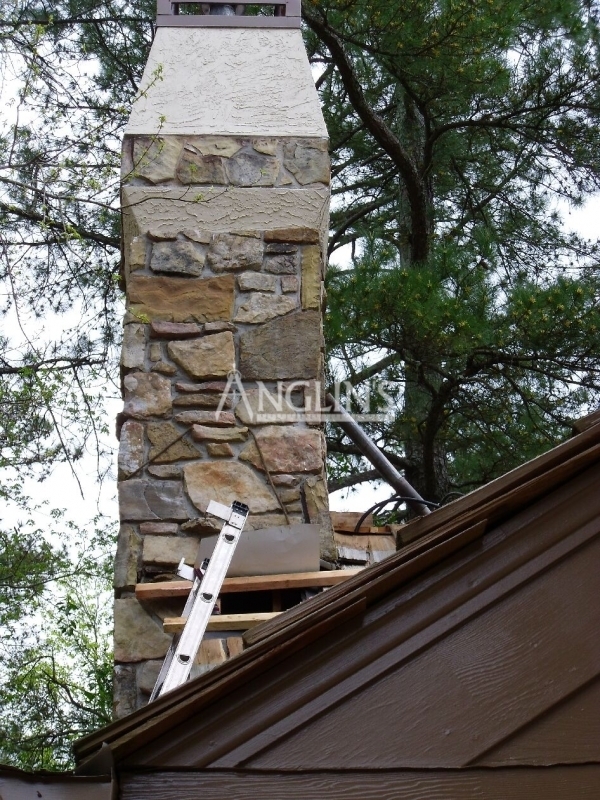 We look forward to restoring your chimney.